Mathilde d'Udekem d'Acoz, the first Belgian-born Queen of the Belgians, was born on January 20, 1973 into a Belgian noble family. 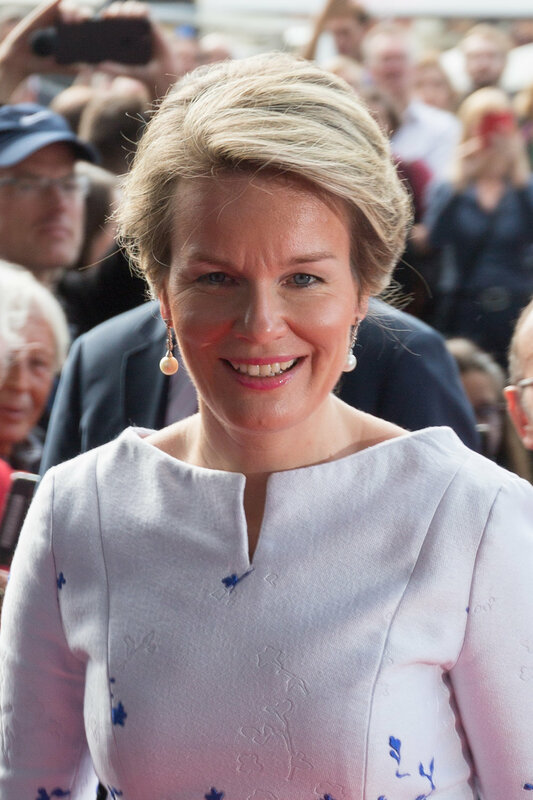 Mathilde married the heir to the Belgian throne, then-Prince Philippe, Duke of Brabant on December 4, 1999, taking the title of Princess Mathilde, Duchess of Brabant. Mathilde and Philippe have four children: Princess Elisabeth, Duchess of Brabant, Prince Gabriel, Prince Emmanuel, and Princess Eléonore. On July 21, 2013, King Albert abdicated in favor of his eldest child, Philippe, making Philippe King of the Belgians and Mathilde, Queen of the Belgians.